Reason #1: You can cancel anytime, and there is no fee or penalty or nonsense. 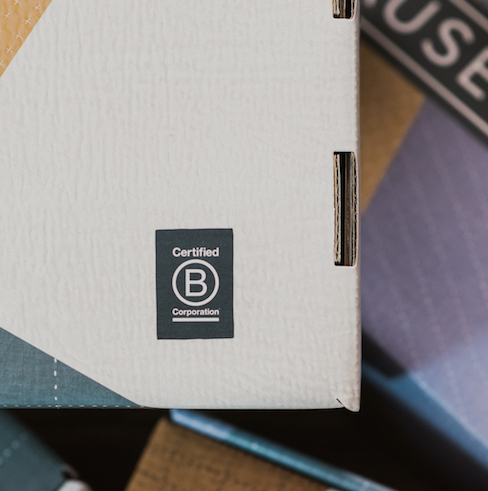 We know that recurring bills are no fun — but we decided to make CAUSEBOX a membership because it was the only way to predict how much product to order from our amazing artisan partners and brands. This creates more fair trade jobs, reduces waste, and since almost every box sells out, it allows you to receive exclusive products that are never available again! Oh and of course you can cancel anytime, it is 100% hassle free, and there are no cancellation fees. Reason #2: Your membership helps people. 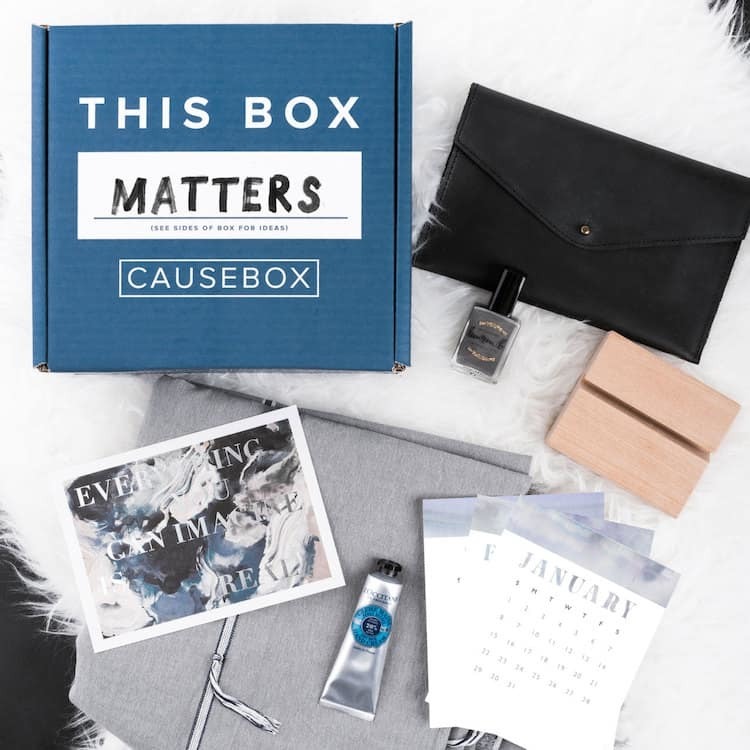 Every product inside of every CAUSEBOX helps people or our environment in some way. Some products provide meals for the hungry, some create fair trade jobs for women all throughout the world, some donate books to children without access to literature. And that barely scratches the surface. Whether it’s education, health, or the protection of vulnerable women — every product supports something positive, and has a story. You will be proud of all of the products you discover in CAUSEBOX. Reason #3: It is an incredible deal. Let’s face it: everyone likes a great deal. CAUSEBOX is one of the best deals around. You’ll get $150 worth of thoughtfully designed products that you’ll love for only $50 each season (or, basically $16.67/month). Plus, we keep hearing that the boxes are only getting better and better every season! Reason #4: Your time is valuable. CAUSEBOX is the best way to discover brands that really make a difference, without having to spend your whole entire day online searching for them. You know that when you walk into Whole Foods you’re going to find food that you can feel good about eating — but when you walk into a mall, it’s difficult to know if you can be proud to support the brands you’ll find there. 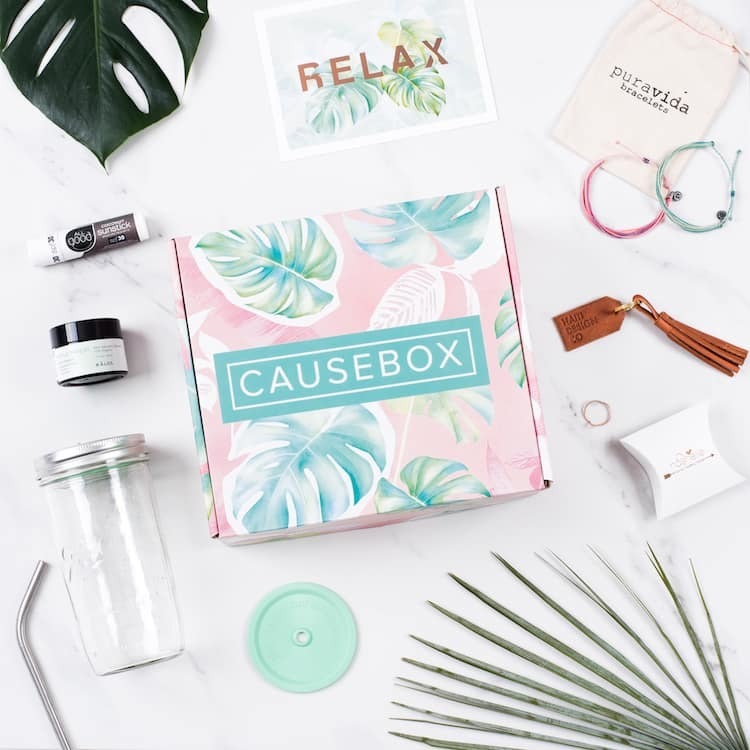 CAUSEBOX takes the guesswork out of shopping for your accessories, jewelry, homewares, and lifestyle products. 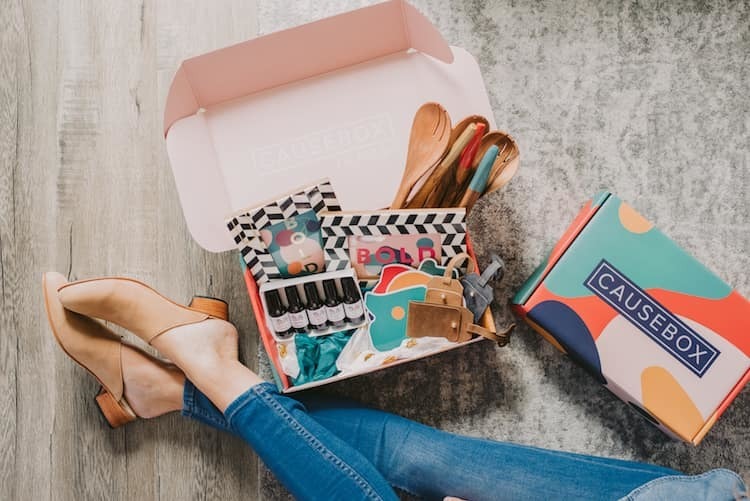 It’s such a fun surprise, but you’ll also be so happy to learn about, know about, and brag about CAUSEBOX-featured brands. Reason #5: You’re joining a community. One of the most pleasant surprises since starting CAUSEBOX was when we started to feel a community form. There is so much hurtful nonsense on the internet these days, and we are so proud that you don’t find any of that kind of stuff on CAUSEBOX social media or in our customer support emails. What we find every day, on every post, are strong, loving, supportive women — sharing their excitement over brands that are doing positive things in the world. 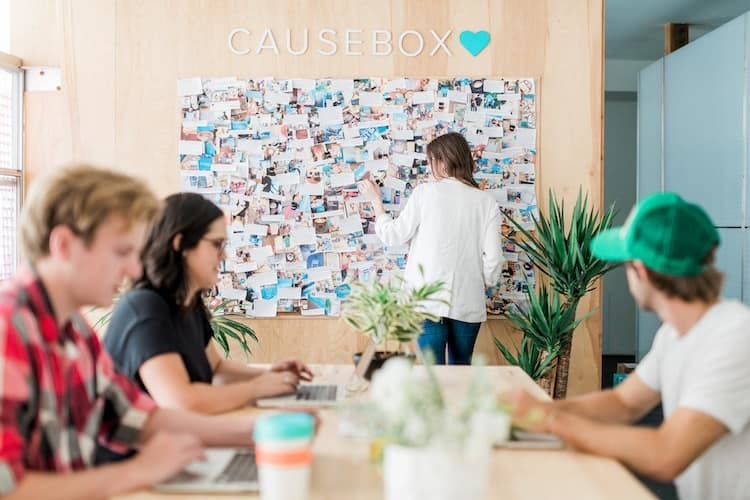 It’s difficult to find that kind of community these days — and when you join CAUSEBOX you know you’re joining a group of women with heart, who share the same values as you. There are some things that you can’t fake. 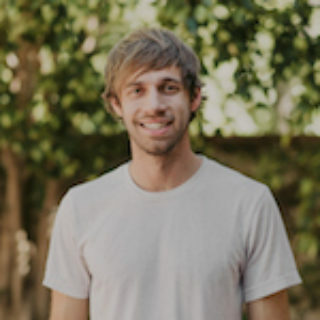 When you’re building a company like CAUSEBOX… your heart better be in the right place. Ours is — if we’re allowed to say that :) We care so much about the artisans, companies, and nonprofits that we are able to work with, and we care just as much about you. 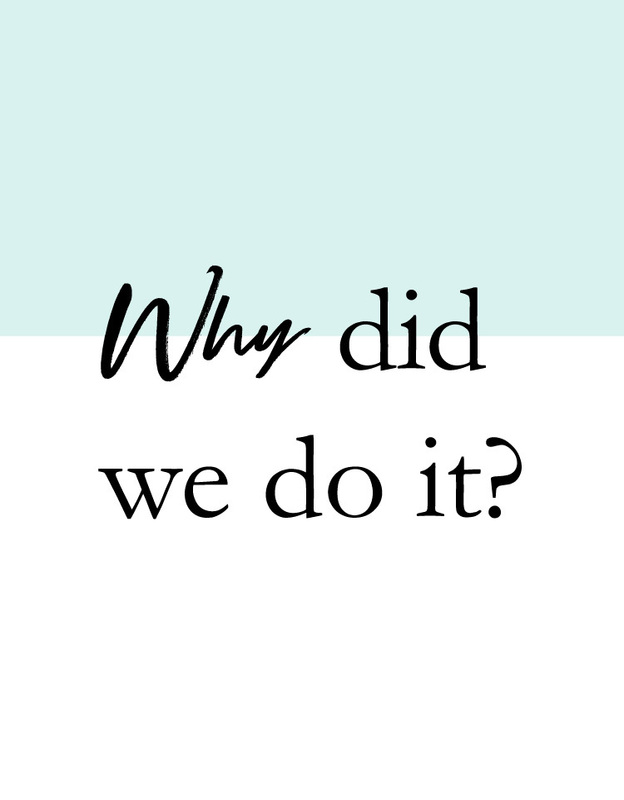 We’re only an email away, if you ever have any issue at all with your membership, ideas for our boxes, special requests, or questions about who we are and what we’re all about — we adore our members and will do anything to help them. We even have a whole wall in our office filled with CAUSEBOX member photos! Reserve your membership at causebox.com and join the community!